I put together small collection of usefull commands and Vagrant file snippets. It is very annoying to wait when packages being downloaded. Here is how to do it only once. 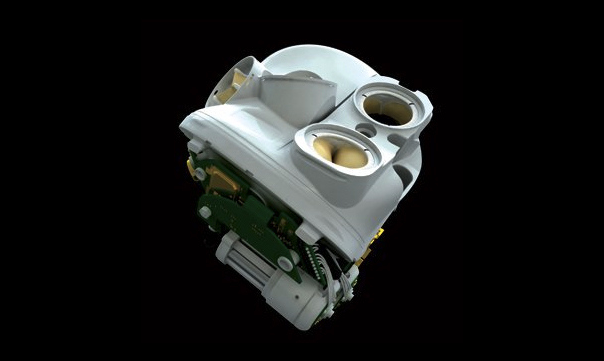 World’s 1st self-regulating artificial heart transplanted in France it does not require outside control. I have been mentioning React.js several times before. Recently I had opportunity to play with it closely. I also wanted to make it right from the beginning. I wanted to Unit tests. and take ‘build/react-with-addons.js’. We will use this file instead react.js during testing. We even can use JXS syntax inside tests: <Label>Some Text We Need for Test</Label>. Extreme Programming, a Reflection teams who consistently work overtime are failing. World of Mathematics best website I ever saw! But some sections are still under development. Go to the App Store and rate your 5 favorite apps right now! Google Bought Boston Dynamics they are building army! websocketd Turn any application that uses STDIO/STDOUT into a WebSocket server. Just need to figure out security implications for this. But might me good for orchestration. The Sad Story of the Battery Breakthrough that Proved Too Good to Be True just test it properly! The cost of getting a new mobile gamer exceeds revenue that user generates this article compares average values. Good games still have a chance. Debugging A Live Saturn V debugging circuits in fully loaded rocket! Case with airbags when it will be built in to hones? BayesDB lets users query the probable implications of their data as easily as a SQL database lets them query the data itself. Definitely need to play with it! How the Bitcoin protocol actually works very nice and detailed explanation. Is it our future? Paper Plane With Motor give me two! FBSnapshotTestCase A “snapshot test case” takes a configured UIView or CALayer and uses the renderInContext: method to get an image snapshot of its contents. It compares this snapshot to a “reference image” stored in your source code repository and fails the test if the two images don’t match. Reverse Microwave Chills Beer In 45 Seconds give me 2! What Is The Worst Thing About Working At Microsoft?